Trilogues are about to commence between the EU institutions after the European Parliament and the Council each adopted a position on the proposal which the Commission had formulated in April 2018. Trilogues are the most important stage in the EU legislative process, this is when the proposed text and possible amendments are being negotiated between the institutions with a view to reach a political agreement on the detailed content before a directive (or a regulation) is being formally adopted by the Parliament and the Council and published in the official journal. The April 2018 proposal by the Commission aims at better protecting whistleblowers who report breaches of EU law as current protections are fragmented or only partial across member states, with only about 10 countries offering a comprehensive system. More specifically, the draft directive looks at introducing ‘common minimum standards’ to protect people working in the private or public sector from retaliation for reporting breaches of laws in specific EU policy areas, where such violations or abuses may cause serious harm to the public interest or where there is an identified need to strengthen enforcement. These policy areas include public procurement, financial services, environmental and consumer protection, product and transport safety, protection of privacy and personal data, as well as violations of competition law and tax evasion and avoidance, including VAT. The proposal introduces a three-tiered approach to reporting (internal channels/authorities/public ie the media) drawing upon the case law of the European Court of Human Rights (ECtHR), which strikes a balance between the right of the employer to protect its interests and business reputation and the freedom of expression enshrined in Article 10 of the European Convention on Human Rights. Please read more about the EU proposal and current levels of protections in key jurisdictions in our July 2018 analysis. 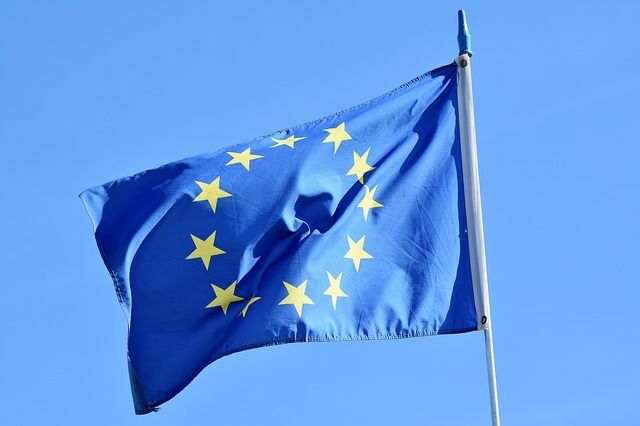 The European Parliament adopted its position in November 2018, introducing a number of amendments to the Commission’s proposal. For example, the Parliament suggested to extend the protection to facilitators, those assisting the reporting person (e.g. journalists). The Parliament also proposed to grant protection against retaliation to all reporting persons regardless of the chosen reporting channel (internal or external) - as long as they are in good faith - as well as to anonymous whistleblowers whose identity has been revealed. Another amendment introduces a reference to breaches to EU labour and employment laws. Such reference was absent from the initial proposal for the reason that labour and employment laws generally provide for their own redress mechanisms. Parliament preferred to grant extra protection. The proposal was then debated by members states within the EU Council. The Council’s legal services was reported to have issued a controversial legal opinion last December, recommending to exclude tax avoidance and evasion leaks from the scope of the protection granted to whistleblowers as tax matters cannot be decided using the co-decision procedure (EU Council and EU Parliament deciding together on new rules) but are subject to the unanimity rule at Council level (with only a consultative role of the Parliament). Therefore, an option would have been to split the file in two different proposals: all the current provisions besides tax matters would be agreed in Council and trilogues would start right after whereas the provisions related to tax matters would be put into a different text and agreed separately. This would have been a major blow for those calling for better protection for reporting persons, as a lot of the recent scandals which the directive aims at trying to prevent involve tax evasion! The Austrian presidency could not secure a compromise at Council level in December and it was the Romanian presidency who succeeded this January with the Council (ambassadors level) adopting its negotiation position on January 25th. When presenting its priorities to the European Parliament earlier in January, the Romanian Presidency stated that proposal is important to them and indicated the Council would not support the exclusion of tax evasion from the scope of the directive. This got confirmed a few days later with a majority of member states expressing their preference for a single instrument, thus not agreeing with the Council’s legal services note. The Parliament will be pleased with this outcome as its lead negotiator on the matter made it clear it would not support such exclusion. The Council is broadly happy with the Commission’s proposal and introduced a few amendments, some going in the same direction as those submitted by the Parliament (eg reference to anonymous whistleblowing including protection for those anonymous reporting persons whose identity is revealed), others going in a different one. The Council endorses the tiered approach to reporting as proposed by the Commission but suggests to include exceptions allowing a person to go directly for external or even public disclosures in some specific cases (e.g. in case of manifest or imminent danger for the public interest). In terms of timing and next steps, where it is still possible for the trilogues to conclude in time for a formal adoption before the European elections take places in May, it will be challenging: the last Parliament session is scheduled to take place week commencing April 15th. However, there seems to be a clear political will on all sides to better protect whistleblowers and the respective negotiating positions (Council and Parliament) do not seem irreconcilable. Members of the European Parliament will keep the pressure on as finalising the directive will be good legacy ahead of the European elections in May. But even if the directive is adopted by the end of the current legislature, this might not be the end of the story as some may be tempted to challenge the directive in front of the European Court of Justice based on the note issued by the Council’s legal services and the exclusion of tax matters it recommended.